“From our main partners, we, of course, expect that they respect the unity of the European Union and its values,” French President Emmanuel Macron told a press conference in Paris after a meeting with Chinese President Xi Jinping, German Chancellor Angela Merkel and EU Commission President Jean-Claude Juncker. Speaking after Macron, Merkel called the ‘New Silk Road’, China’s mega infrastructure project, “a very important project where we, European, intend to play an active part” but said that should “lead to more reciprocity”. Juncker elaborated by saying that “European companies must be able to find the same openness on the Chinese market as Chinese companies do on the European market,” adding that “investments should not only be Chinese”. The European leaders expressed the idea that trade relations should be redefined and negotiated according to the new global geopolitics. New Silk Road, a trojan horse in the EU citadel? 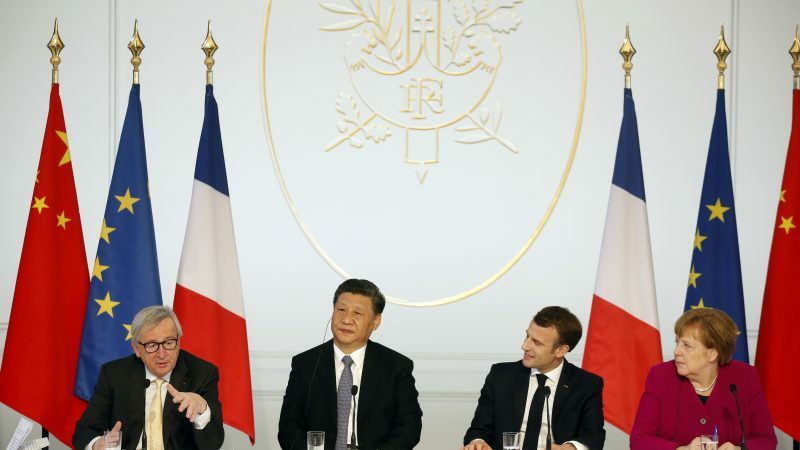 The meeting came just weeks before an EU-China summit in Brussels on 8 April and a day after President Xi Jinping signed an array of deals with France, including a huge contract for buying Airbus aircraft. On Saturday (23 March), Italy signed a “non-binding” protocol with China to take part in Beijing’s new “Silk Road” of transport and trade links stretching from Asia to Europe. 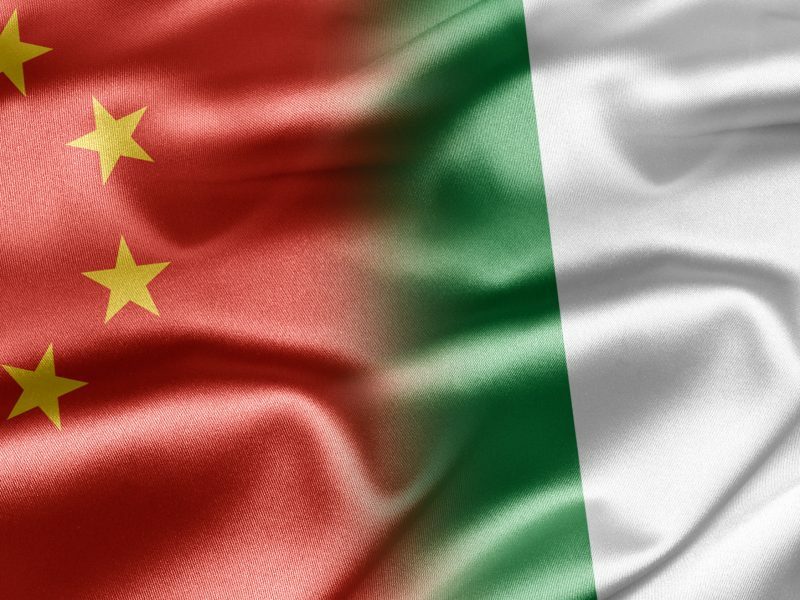 Xi and Italian Prime Minister Giuseppe Conte attended a signing ceremony for 29 memorandums of understanding, which Italian media said were worth €5 to €7 billion. China plans to cooperate with Italy in the development of “roads, railways, bridges, civil aviation, ports, energy, and telecommunications” as part of Beijing’s Belt and Road Initiative, a confidential ‘memorandum of understanding’ obtained exclusively by EURACTIV reveals. 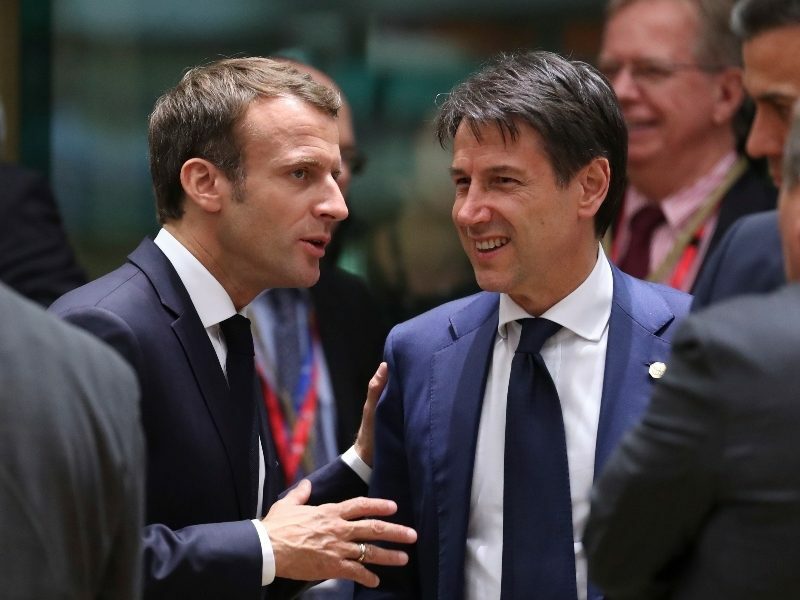 In doing so, Italy became the first G7 country to sign up for the massive project, which has sparked unease in the US and the European Union as China aspires to a greater world role. “In the case of Italy, Chinese funding for infrastructure projects is the best enticement to the Italian government to support its flagging economy,” Natixis investment bank said in a note published after the meeting. “China’s massive investment in Italy comes in exchange for the latter’s endorsement to China’s major soft power machine, namely the Belt and Road Initiative. Against the backdrop of the China-US trade war, China is more interested than ever in expanding influence to the detriment of the US, which is what China’s is doing with Italy,” the note reads. It also stressed that China adapts its strategy to member states’ key needs, a strategy that proves successful. “Chinese strategy to get France closer to China is very different as it focuses on increasing imports of French goods as well as access to the Chinese market for French financial institutions,” the note says. “For a country as important as France on the military/NATO front, China’s objective is driven more by economic factors. In fact, China’s key interest in France is rather to keep an open market for its acquisition of valuable companies (Chart 2, see our M&A monitor). In other words, countries like France are more attractive for China to move up the technology ladder than expand its soft power umbrella. The China-EU-USA triangle remains very important, Merkel also said. Should economic relations between the three key economic players deteriorate, “it will have a major impact on the German economy”, she added. Merkel also addressed the elephant in the room – the ongoing trade war between China and the US. Unlike France, whose economy is mainly based on domestic demand, the German economy relies heavily on export. According to statistics from Destatis, German exports rose in 2018 by 3% to reach €1317,9 billion. In the same year, Germany imported goods for €1090 billion (+ 5.7% compared to the previous year), leading to an export surplus of €228 billion. The same year, China remained for the fourth time in a row the most important import country for Germany as China exported 106.3 billion euros worth of goods to the country (+4.4% over the previous year). But Berlin has growing concerns over the rising Chinese investments in Germany, best illustrated by the hostile takeover of industrial robot maker Kuka by China’s largest home appliances manufacturer Midea in 2016. 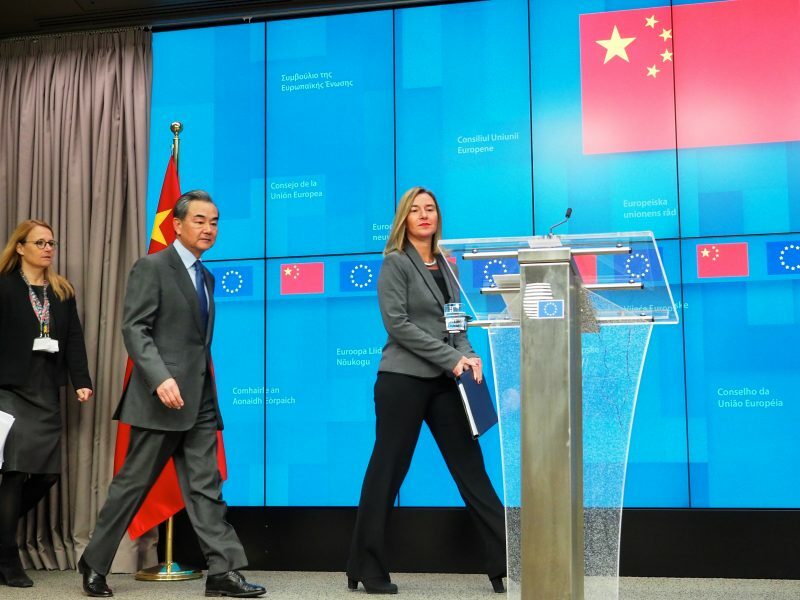 The European Commission has set out a series of concrete actions to “deepen its engagement with China to promote common interests,” the bloc’s top officials said on Tuesday (12 March). However, MEPs voiced concerns over “embedded backdoors” in Chinese tech that may put personal data in the EU at risk. Commenting on Italy’s trade agreement with China, Germany’s Foreign Minister Heiko Maas warned Rome that “short-term lucrative business deals with China will have a bitter taste” and that will happen “faster than expected”. “Should some countries believe you make smart business deals with China, they will one day wake up being dependent,” he said, adding that China is expanding its own interests globally. 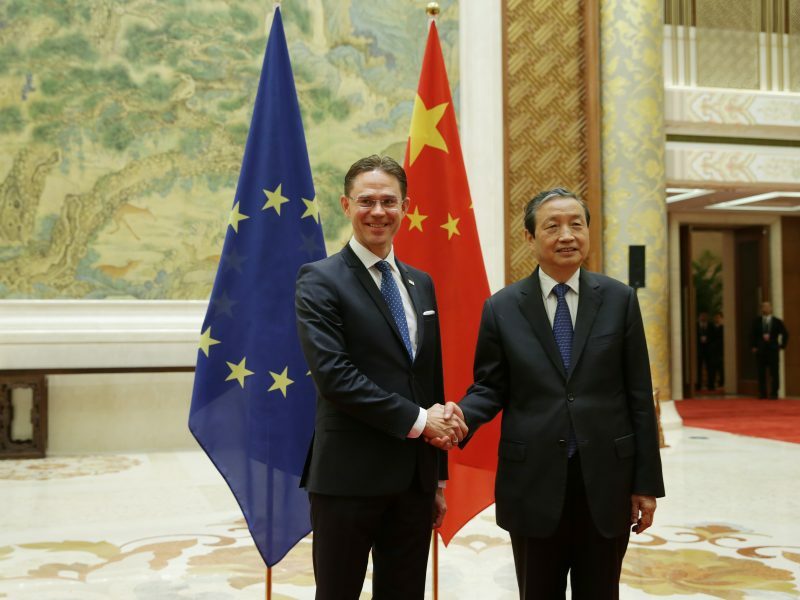 “Europe urgently needs a China strategy that lives up to its name,” he added.